In February 2018 it was the five years since New Jersey’s Chris Christies signed online gambling into the law. No parade was planned down the city streets and the anniversary is not a public holiday, although it is quite sure that both casino industry insiders and a couple of lawmakers raised a glass to celebrate this five-year anniversary. The online gambling bill was approved by the state on the 26th of February 2013, and signed into the state law that same day, although it still took about nine months before regulated and legal online gambling officially launched in New Jersey. For other states waiting to learn from the success of such a step, New Jersey has a very positive message, since the regulating and licensing of online casinos has shown endless growth and tremendous growth ever since. The proof is in the pudding and in 2017 several online New Jersey gambling sites posted that the annual revenues reached $245.6 million in 2017, which represented a record-breaking growth of just short of 25% from 2016 gambling revenues that reached $196.7 million. With the major success that New Jersey enjoys since signing the online gambling bill into the law, the figures have gone up every year by more than 20%, and the revenues doubled since 2014. While lawmakers pop a few bubbles to celebrate this significant growth, many online poker and casino operators have reason to celebrate. In 2017, the taxes collected by the state from online casino operators surpassed $100 million, and by that year-end, it reached well over $125 million. While nothing can stop the celebrations now, the gambling law was originally planned to come into effect on the 3rd of March 2011 already. But back then Christie rejected it in fear that the bill didn’t do enough in terms of preventing opportunistic entrepreneurs from setting up shops or internet cafes across the state to operate as makeshift casinos. The reason for the previous rejection was fixed by legislators and the bill put forward again in early 2013, Christie vetoed it once more and this time the problem was that he demanded that the proposed tax rate should increase to 15% from the suggested 10%, after the necessary changes were made, the bill finally became law on the 26th of February 2013. New Jersey is seen by many as a gambler’s paradise, although many ignore the fact that its gambling is still restricted to Atlantic City limits. What the law has failed to address is the restriction of charity gaming, not allowing tribal casinos and addressing social gambling. What the garden state got right is to offer its citizens legal online gambling, several big casino resorts and basically all the casino gaming entertainment they want. The legal age for Jerseyites is 21 for casino gambling and to participate in the state lottery a person must be 18 years old. 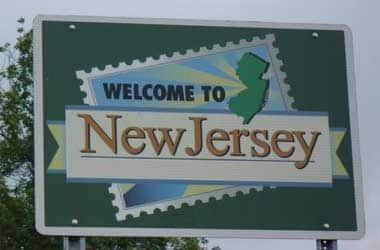 New Jersey’s legalised online gambling industry reached a record-setting first quarter in 2018, and March was a record-shattering month as revenue increased by 16.3%, February revenues reached $21.99 million, while the March figures were $25.6 million. Online casinos gambling is big business thanks to the variety of highly entertaining games players get to choose from. With much lower day-to-day running costs, online casinos can also afford to offer huge bonuses, and with the number of players online, progressive jackpots reach payouts worth multi-millions. All is good when it comes to online gambling provided players register at online operators that are Malta Gaming Authority, United Kingdom Gambling Commission or Government of Curacao licensed and regulated. Online casinos approved and certified by eCOGRA are a safe bet, since it means they have player safety, security and fair gaming systems in place to ensure a safe and enjoyable online experience. With less running cost than land-based casinos, online casinos can afford to offer incredible bonuses, which includes no deposit bonuses, welcome packages, cashback bonuses, reload bonuses, deposit bonuses and an array of VIP specific bonuses. No deposit bonuses are mostly exclusive to players registering an account at the casino for the first time. Welcome packages are worth hundreds of dollars and are exclusive to players making their first deposit. In most cases welcome bonuses doubles or triples the amount players deposit, which hugely increases bankrolls and at the same time ensure new members have sufficient funds to explore the wide gaming variety offered by the casino. Promotions provide existing members with several ways to increase their winning opportunities and game launches are almost always celebrated via tons of free spins. Cashback bonuses provide members with a second chance to win back some of their previous losses, while loyalty programs provide players with points, which can be accumulated and exchanged for cash or a variety of bonuses. As wide as the gaming variety is at online casinos, so is the customisation of betting. Players can select from a massive coin variety and place bets to the value they feel most comfortable with. Minimum bets on slots start from a minimum of $0.01, although the value of the wager can be increased to a maximum bet worth hundreds of dollars, depending on the game. With online gaming legalised in New Jersey, it is much easier to fund online casino accounts, although in several states banks are prohibited from processing online casino transactions. This forced many U.S. players to find alternative ways to deposit at casinos as well as withdraw their winnings. Many online casinos added cryptocurrencies to their approved payment methods to ensure all players can enjoy hassle-free banking options. Most online casinos accept payments via debit cards, e-wallets, credit cards, prepaid cards, direct bank transfers and now cryptocurrencies such as Litecoin and Bitcoin. When it comes to withdrawals, most online operators prefer that the transaction is handled through the same method as used for funding the account in the first place. Online operators differ when it comes to bonus rules, currencies accepted, gaming variety and the time-period it takes to pay out winnings. Although, the cashier section offers all players all the information needed to make an informed decision regarding payment methods as well as the pending period of withdrawal requests. Once approved withdrawals via cryptocurrencies are mostly instant, or within a few hours, debit cards or credit cards can take around up to 3 days, while e-wallet withdrawals can also take up to 3 days but are usually much faster. The best way to ensure your winnings reflects in your bank account in the shortest possible time-frame is to visit the cashier section, check the payout options that also display the payout period or contact support before making a deposit, via live chat, telephone or email.